In this long year of journey we have made several Software Products, done Testing-QA, built Enterprise Mobile Application Design & Development and supported clients with Cloud Computing solutions. 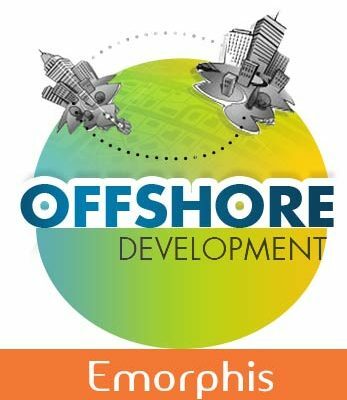 Now, Emorphis has come up with Personalized Offshore Development (POD) and end 2 end services to client’s software development requirements. POD will not just help people with cost-cutting but will save their time with ready to go team. With POD user can start with other new projects with their current project. Avoids the increased cost and time required for hashing out infinite details of how the app will work. Reduces the risk of unmet expectations. Gives you the speed and agility to adjust to new information you learn from developing your customer. Skilled professionals working for your business needs. Higher level of project security control, IP rights protection and confidentiality. Negotiable cost depending on your requirements. Software Engineering Team works as your own department and is solely occupied with your project. Not seeing the subjectiveness in business benefits; might be your strategy. You can highlight the differentiators that how it is better then and/or mix of regular offshore software development, intranet offshore development etc.